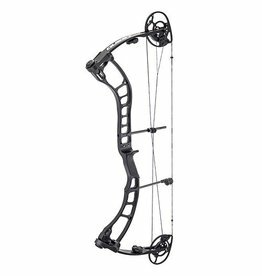 Designed for archers tired of shooting one size fits all bows, the Storm Compound Bow Package from Quest by G5® delivers ready to shoot performance that's not made for the masses. 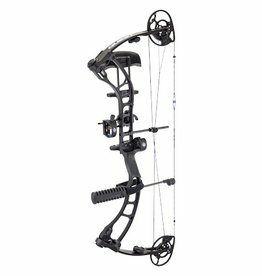 Equipped with Quest's Designed to Hunt (DTH) package, this versatile bow comes equipped with a sight, quiver, containment rest, neoprene wrist sling, peep, and rubber stabilizer to get you out on the range and shooting even quicker. 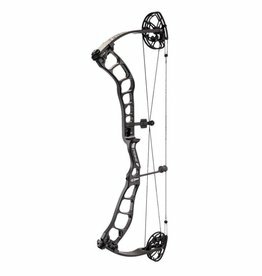 Great for smaller-framed archers, the Storm features a slimmer grip for better control, the smaller fit of Quest's Fluid SD cam, and a lower draw weight range (30-60 lbs.) for a more comfortable hold. 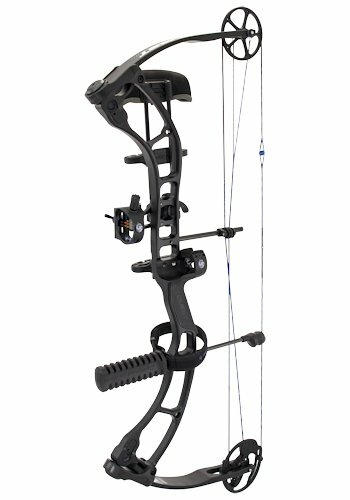 Built around a stable, rock solid Stabilite forged 6061 aluminum riser with pivoting limb pockets, this lightweight 3.7 lb. 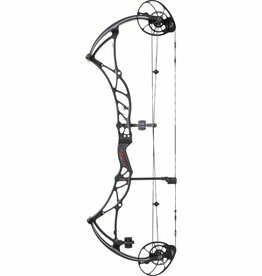 bow delivers high strength and accuracy. The Fluid Cam system delivers simple to operate performance, cranking out arrow speeds up to 290 fps with single module draw length adjustment (23"-27.5"). 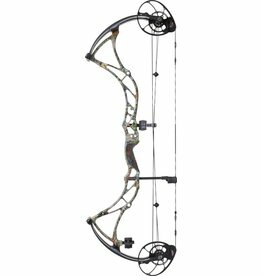 Bow also features an adjustable string suppression system and roller slide to reduce string vibration and performance robbing drag. Durable, weather resistant Durafuse finish. Axle-to-axle: 31". Brace height: 7". D.T.H. 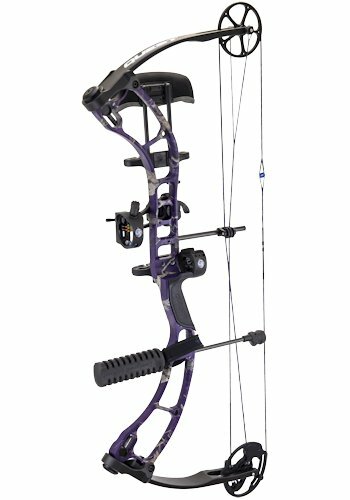 Package includes: Head-Loc Arrow Quiver, Tool-Less Fiber Optic Sight w/light, Halo™ Full Containment Rest, Neoprene Wrist Sling, Meta Peep, and Rubber Stabilizer. Single module draw length adjustment from 23"-27.5"
Lower draw weight range for easier hold - 30-60 lbs.